Protection against flooding is an important issue and will continue to gain in importance in the future. Due to his decades of experience as a builder, Dr. Scherkl has succeeded in developing an equally simple and effective solution. 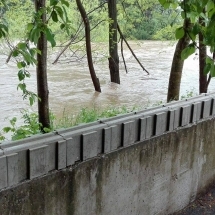 The special properties of the RESCO System Blocks make it possible to erect protective walls against floods almost everywhere. 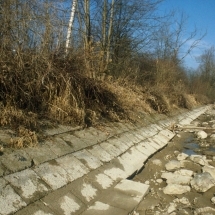 Usually the wall can be placed on the existing ground without its own foundation. Thanks to the easy handling, even laypersons can use the blocks in their own garden. And it is enough to start when the rain starts. 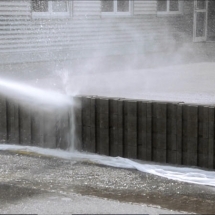 The professionals of the fire brigade appreciate the superior advantages compared to conventional sandbags in the field of static and reuse. Learn more about our Blocks and our Events!